We all love a good DIY project. If you're looking for a fun way to spend your birthday or a party with your girl friends, have a craft party with the Gild Collective! The Gild Collective has reinvented crafting by hand selecting projects that are on trend, from jewelry to home decor, and allows you to create while spending some much needed quality time with you girl friends. 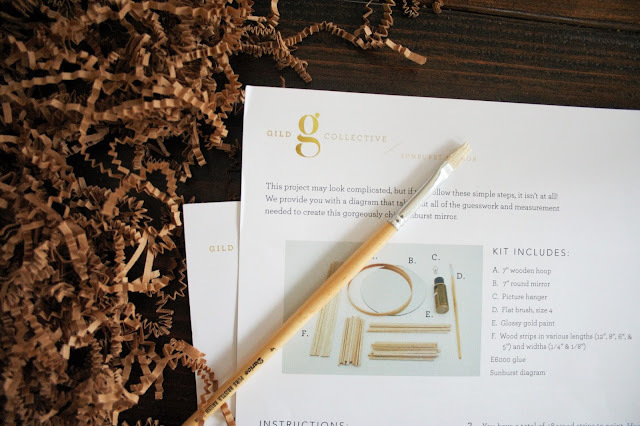 You choose to “Host A Party,” select the craft you want to make and the Gild Collective sends you and your friends high quality supplies and directions to make your project! The crafts generally range between $29-45 each. This isn't something cheap that you’ll end up tossing because you don’t know what to do with it. This is something you’ll wear often or want to utilize in your house. 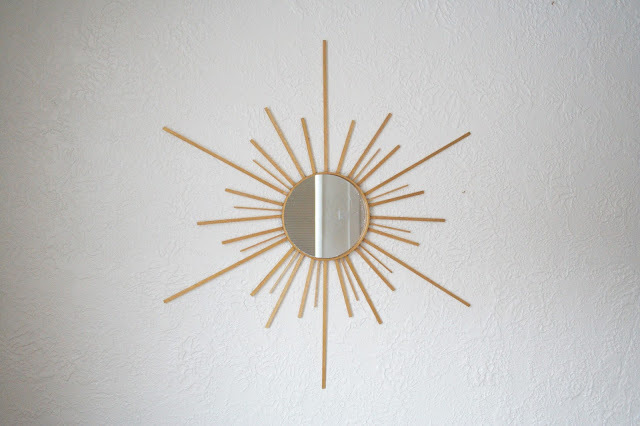 I had the pleasure of making a gorgeous, gold sunburst mirror for my home! I’m currently turning one of our spare bedrooms into my own walk-in closet so this will be a perfect addition to the decor. If you've thought about hosting a Valentine's party this year, host a Gild Collective party so you and your friends can make a great piece of jewelry like this awesome Morse Code necklace or this exclusive and cute Love Sign. You'll have fun with this surge of creativity and you never know what creating something yourself will inspire you to do next!